I have been itching to buy some new Toms. I love the message that the company delivers, and the shoes are super cute too. However, ever since I bought my car, I haven't had a ton of disposable income. 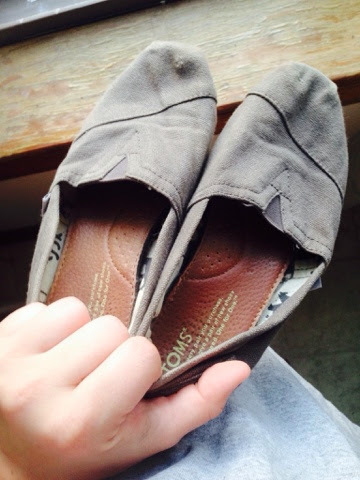 I've had this pair of Toms for a few years, and I absolutely love them. I even wrote about when my mom sent them to me while I was at college. I wear them all the time because they are surprisingly very supportive. They are starting to get pretty worn out from all the wear though. They are very faded, starting to fray, and even starting to get holes in the toes. I thought that since I can't afford to buy new ones, I might up-cycle these, and see how they turn out. I simply used white puff paint, and free handed a design similar to one that I saw in these photos. I love how it turned out. While this may not be a long-term fix, this may help them to last the summer! I wore them out to the store the other day and got many compliments. 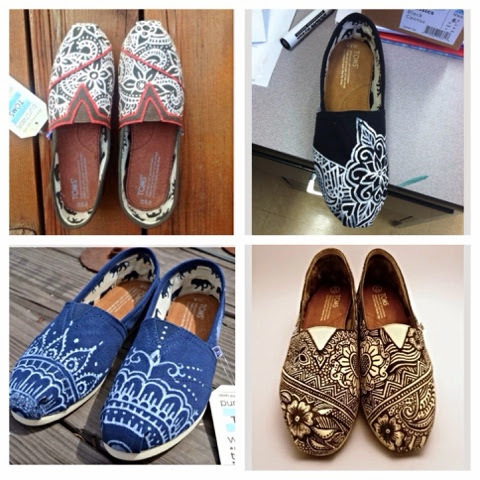 Have you ever up-cycled or refinished any of your shoes? Sidenote: I'm linking up to Living Well Spending Less, Lamberts Lately, Artsy-Fartsy Mama, A Glimpse Inside, Posed Perfection and Bloom Designs. Go check out the amazing ideas in these link-up parties!! I love up cycling things too. 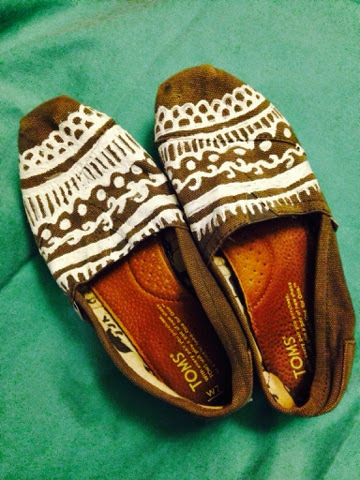 Great idea with your Toms! Thanks for linking up to my Creative Ways Link Party! The new party is live. Hope to see you there! Thank you! I had lots of fun with this project, and it was very quick and easy!